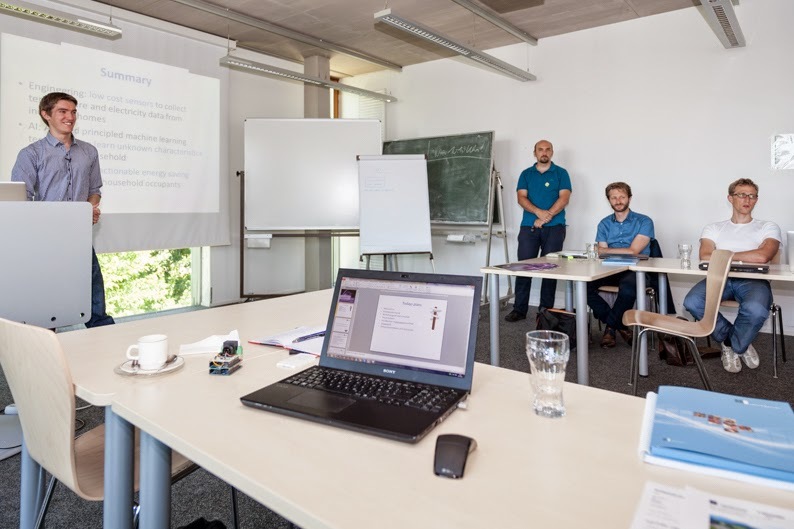 Last week I attended a workshop on human-centric energy management organised by Dominik Egarter, Wilfried Elmenreich and Martin Krch in Klagenfurt, Austria. The schedule featured a series of keynote talks, discussions, and a trip to Kraftwerk Forstsee. 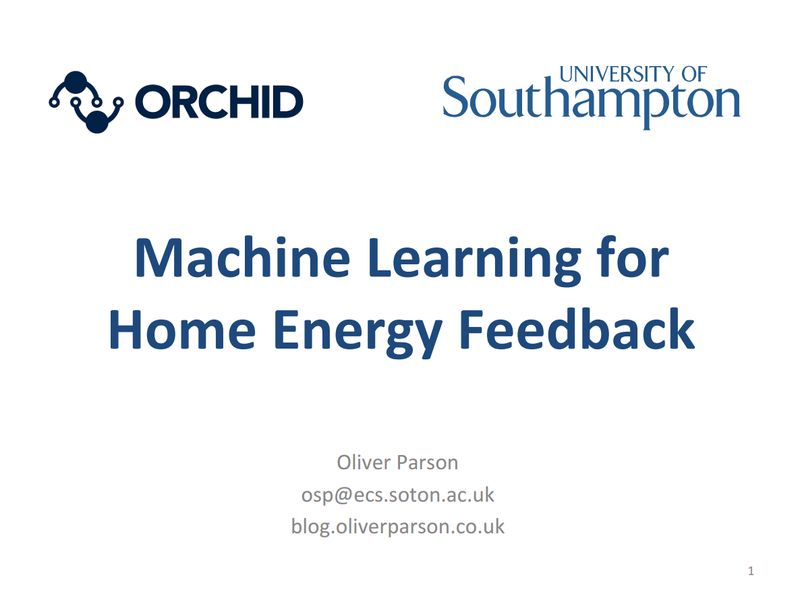 I presented some work from my group on disaggregating a home's fridge-freezer energy consumption from smart meter data, and also some work on providing home heating feedback via the Joulo project. My full presentation slides are available via my website. The workshop also included talks from Wilfried Elmenreich on work from their group aiming to bring the smart grid into people's homes, and also Andreas Reinhardt on the opportunities for novel services based on appliance-level power consumption monitoring. I really want to thank the organisers for inviting me to attend such a great workshop. I'm particularly excited about the potential for collaborations within NILMTK, and hope it leads to some interesting joint projects.